Delray Beach Club condos are located on the West side of the A1A (Ocean Blvd) in Delray Beach (across the street from the Delray Beach Club). This complex has water views both East and West. This is the perfect place to call home in the winter months or year round condominiums. This well kept, gated community offers beach lovers the rare, sought after private designated beach access and effortlessly only minutes from the trendy Atlantic Ave. You enter this quiet community from the gated entrance to your deeded car garage parking elevator to private floor with only two units per floor. Find out why people love living in Delray Beach Club Condos! Read more about community amenities or browse through Delray Beach MLS listings that feature this community below. If you're looking for a resort style condominium in Delray Beach, look no further than Delray Beach Club. 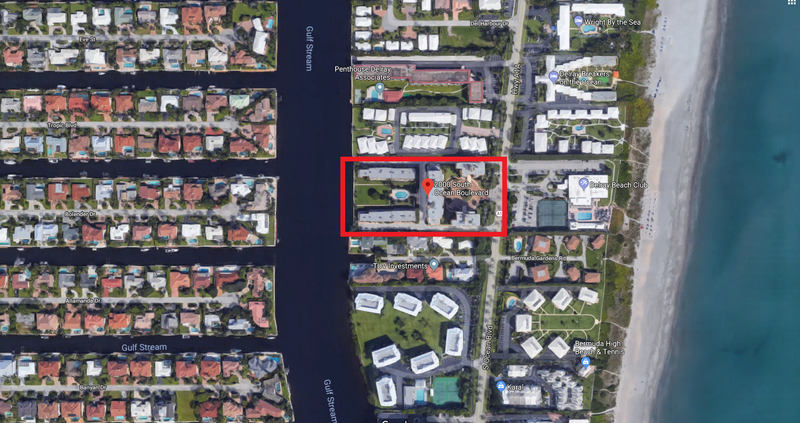 These are popular units because of their size, location and price point so please contact us or call 561-406-8880 to learn more about condos for sale in Delray Beach Club.